I read this passage last week and meditated on it. The first question that came to my mind is “What do we do with the Old Wineskin?” In Singapore’s culture, most of us will probably just throw it away. I think Jesus is saying much more than throwing away the old. I looked up a little more about wineskin and learnt that wineskin is usually made of goatskin with the insides lined with pitch to waterproof it. If wineskins are made of leather, then logically, it should not be thrown away as leather products usually last for a long time. It does not make sense to keep having to make new wineskins for the new wine. The reason why Old wineskins cannot hold new wine is because they become brittle and lose their elasticity. As new wine ferments, gases are created and it expands the wineskin. The old wineskin being less elastic will eventually burst because of the pressure inside and the new wine wasted. Interestingly, the word “fresh” is used to describe the wineskin used to contain new wine and not “new”. 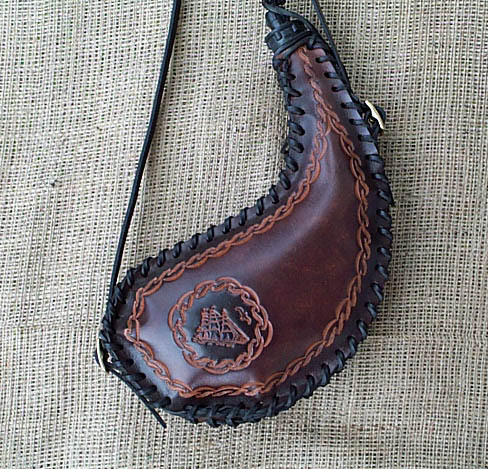 A fresh wineskin can be a new wineskin but it can also refer to an old wineskin that has been reconditioned. A reconditioned wineskin is as supple as new and is able to hold new wine. To recondition it, an old wineskin needs to be cleaned and then soaked in oil. The wineskin is soaked until it is rejuvenated to its supple and soft state to be ready for the new wine. So old wineskins are not thrown away or only being used to hold old wine. It can be made fresh again to hold new wine! So how does it apply? I find it interesting that Luke acknowledges that old wine is better than new. This is true even till now that old wine is prefered more than new. So this passage does not undermine the old wine, but it is looking at a constant supply of wine, thus the need for fresh wineskins. The new wine in this passage can mean the new covenant and the old wine, the old covenant. This is true but it seems that the richness of this parable brings it beyond to include the new outpourings of God’s move, be it in the change of seasons in an individual, a church, or even at national level. The next question is how do I apply the reconditioning of the wineskin? Old wineskin does not refer to the physical age of believers. A young person can be rigid and has an extremely fixed mindset that is not open to anything new. Rigid mindset that is inflexible alludes to an old wineskin. Similar to soaking the old wineskin in oil to recondition it, a person can ‘soak’ himself in the presence of God in worship, in the Word and in prayer. This parable is said right after the teaching on fasting, thus this “soaking” should also include fasting in combination of the other spiritual disciplines. It is to allow the Holy Spirit to wash over us over and over again until our hearts and spirits are tenderised to receive new things from God. This means taking time out to be quiet before the Lord. It is to allow God to speak once again, even for Bible passages which we are so familiar with, AFRESH. A reconditioned wineskin is refreshed, flexible, and passionate about the new things that God is doing. Take for example, if God chooses to do a mighty move among the prostitutes and they start coming to your church services. Maybe some of you will be completely excited about it, and others apprehensive. The church community has not come into much contact with people who are in prostitution depending on the profile of the church members. Their presence can cause much discomfort in that they probably do not dress ‘right’ in church services, their talk is very uncouth and loud, and even the small inconveniences like dirtier restrooms. Yet this is a genuine move of God that requires a fresh wineskin to hold the new wine. A church in the old wineskin may choose to protect its tradition, culture and practices that has been passed from generations and side-lined these very souls that God wants to bring into His saving grace. This new wine begins to burst the old wineskin of the church when they are unable to hold this new wine, eventually breaking the wineskin, the church. The new wine is spilled, with these souls feeling rejected and leave the church. Whereas in the situation of a church that has been reconditioned to be a new wineskin, they are able to accept these ladies without prejudice, understanding what God is doing, and is patient to address their lifestyles and income sources with the unconditional love of Christ to help them start afresh. The new wineskin is not only willing, but proactively thinking of how to minister to this new harvest that God is bringing in. Overtime, this new wine of seekers when they are kept in this fresh wineskin, they will mature with grace and become as enjoyable as the old wine. The question for myself, and perhaps you too, is whether I am a fresh wineskin for God to pour his new wine. If I am, what is this new wine that God is pouring into my life? If I am not, then it is best that I take time to be quiet before God so that the Holy Spirit can soften my heart and mind.